Drug Misuse: Findings from the 2015/16 Crime Survey for England and Wales. Cocaine use is known to lead to serious cardiovascular events in a substantial proportion of individuals using this agent. As indicated in the CD cardionote, cardiac events, including acute myocardial infarction can develop develop in the absence of obstructive coronary artery disease and as a result of increased sympathetic activity associated with the use of cocaine. The deleterious effect of cocaine on the coronary microvessels has been documented in a recent study, which has also highlighted the importance of not ruling out cardiovascular disease solely based on the finding of angiographically normal coronary arteries. Epicardial coronary artery spasm is a well known mechanism whereby cocaine can lead to acute coronary syndrome, myocardial necrosis, ventricular arrhythmias and death in otherwise young and healthy individuals. 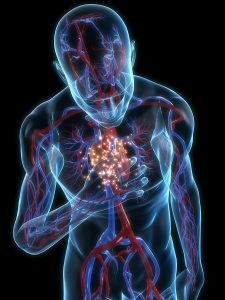 Coronary microvascular dysfunction triggered by the administration of cocaine can also lead to severe myocardial ischaemia, as documented recently. Physicians need to be aware of the frequent association among cocaine use, increased sympathetic activity, severe myocardial ischaemia and life threatening cardiac arrhythmias. The finding of a normal coronary arteriogram in individuals with symptoms and objective evidence of myocardial ischaemia should alert to the possibility of epicardial coronary artery spasm or severe coronary microvascular dysfunction.